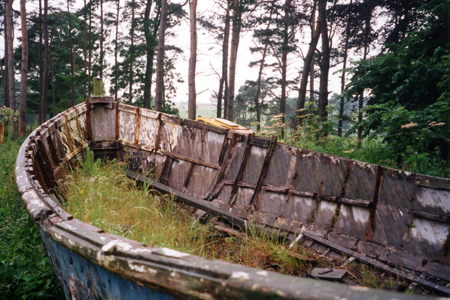 This is a small gallery of photographs of images taken when the Edward and Eliza was being considered as a suitable donor for wooden parts to be transplanted into the William Riley. 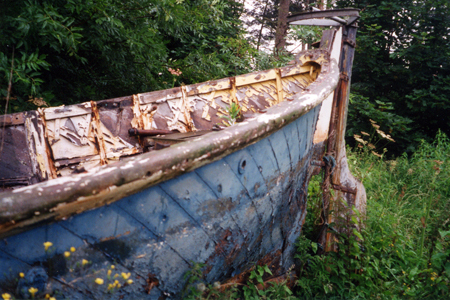 It was quite sad to see the photographs below of the former award winning lifeboat. 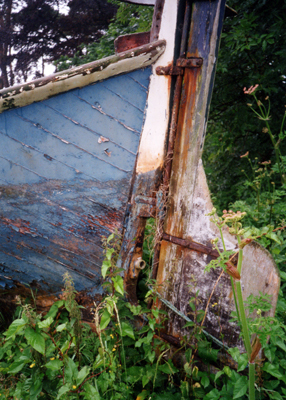 When it was located it was put to the trust that the lifeboat might have been of use but at that point only one or two trustees knew of its poor condition. 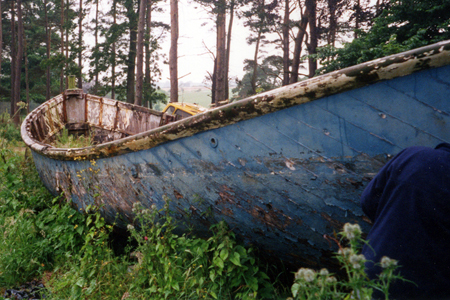 The trust believed it might have been handy and agreed to it being transferred to Whitby. Sometime later a select number of trustees that were available drove up to Northumberland to collect it. 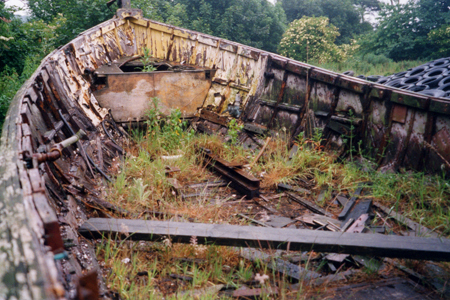 It must have come to some surprise to see the derelict condition of the boat. Nonetheless it was collected and brought to whitby, but very little was salvageable. Some parts were retrieved but by and large the Edward and Eliza was of little use. It did though prove handy for the cadets giving them considerable trouble in separating the keel iron. 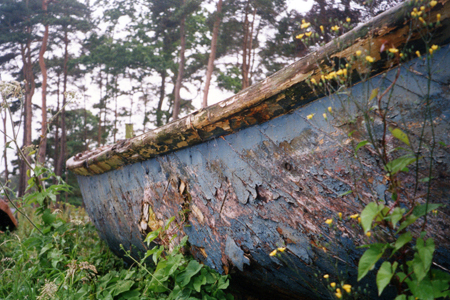 There is no denying that it was still a very sad end to the old lifeboat, in closing this page it is quite conceivable that the William Riley herself was in jeopardy of going the same way had she not been found. 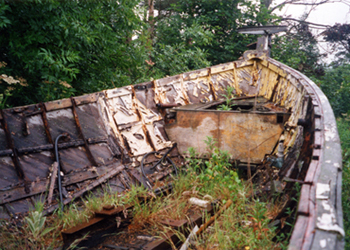 Once cleaned off the boat was ready for its transfer, check out this new gallery for the state of the boat on its arrival at the trusts base.